Is the Kind of Change KAPTAAN "Struggling" for, the change actually people want? In the current miserable corrupt political environment and quagmire of exploitations in Pakistan, no doubt almost everybody explicitly or implicitly desires for a political change that might hopefully also become a favorable fortune change for the people of Pakistan. In this quagmire, a very prominent name stirring a boat with a tag named "CHANGE" is Imran Khan, the former champion cricket team captain famously known as KAPTAAN. And surely he more or less has succeeded in gaining so called popular support and especially of Pakistani youth by striking the drum of "Change". 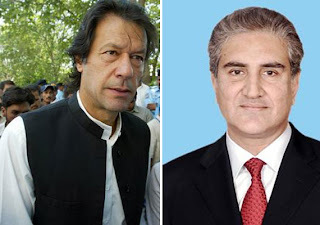 His political party Pakistan Tehreek e Insaf (PTI), which until months before considered as a political party that can win only one seat all over Pakistan has shown significant improvement in changing its image in the political arena of the country. But here a very critical question underlying is that "Is the kind of Change Kaptaan "struggling" for, the change what actually the people of Pakistan want and need." Qalandar Bux Memon is a well reputed writer and analyst. He is currently the editor of The Naked Punch, a UK based magazine. This article first appeared on The Samosa-a new politics, culture and arts journal, campaigning blog and website-on 26th January 2010. The main theme of the article is that the root of all problems in Pakistan-feudalism-is actually fueled by the combined interests of the American government and that of the Pakistani elite. According to him they achieve this by capitalizing on the uneducated classes’ unwavering belief on Sufi saints. Throughout the work the author uses a very challenging and aggressive tone. On many occasions he employs harsh terms and even lays some serious criticism on the Pakistani elite. Using techniques such as rhetorical questions, dramatic dialogue, statistical analysis and historical references he paints a vivid picture of his beliefs. On many occasions in the text he has also used examples from his own experiences to support his argument which is actually the technique that he has used most effectively. The basic assertion that the author makes is that the Sufis,-which he has taken to be same as landlords and feudal chiefs-while hiding behind the façade of “moderate Islam” are using the gullible masses to achieve their own ends. He also claims that the Americans use this charade to do whatever they please in a country that’s not their own. He states that the new Sufi version of Islam is acting as an “opiate for the masses.” (Memon) So, as the Sufis get richer, the poor get poorer without the latter realizing what is actually going on. Furthermore he goes on to point out that as these Pirs/Sufis are the people that invariably end up in the national assembly, they have deep roots inside the government of Pakistan. This is the reason that they are in effect answerable to no one. 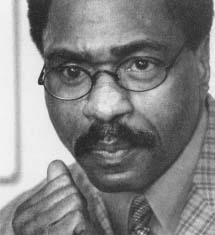 Rubin Hurricane Carter: An Innocent Man or a Killer on the Loose? 2:30 A.M., June 17, 1966. It was almost time to call it day at the Lafayette Grill in Paterson, New Jersey. James Oliver, the bartender, was standing by the cash register counting the day's proceeds. Fred Bob Nauyoks was seated at the center of the bar, close to where Oliver was standing. Two stools to the left of Nauyoks sat William Marins, a patron of the Lafayette Grill. At the far end of the bar, Hazel Tanis lingered over her drink. She was a friend of Oliver and had stopped by for a little chitchat after an evening's work as a waitress. The front door opened and in walked two African-American men. The shorter of the two was carrying a double-barreled shotgun. The other carried a .32 caliber revolver. The bartender looked toward the front door and dropped the money he was counting in terror. Fear stricken and panicking, he hurled an empty bottle at the men. It smashed against the air conditioner to the right of the door. Oliver turned to run from the gunmen. A shotgun blast caught him in the lower back. He fell to the floor behind the bar. He was dead. At the same instant, the second gunman shot Nauyoks in the back of the head, quickly turned to his left and shot Marins just above the eye. Nauyoks' head slumped forward onto the bar. He looked as though he had fallen asleep. A lit cigarette remained between his fingers. His foot remained on his stool's foot rest. He, too, was dead. Marins was dazed. With one eye blinded and his skull fractured, he stumbled around the bar. The gunmen left him for dead and turned toward the door. When they first arrived, the door had blocked their view of Hazel Tanis. Now they saw the helpless woman who was pinned in a corner. She screamed as the two men fired one shotgun blast and four .32 caliber rounds at her. Fatally wounded, she fell to the floor near the doorway. With 24 percent of the Pakistani population below the poverty line and almost half the population illiterate (World Bank), the proportion of the budget allocated by the government on Defence is deplorable. The government needs to realize that the consequences of spending as low as 1.8 percent of the budget on education can be catastrophic and hence increase its expenditure on education, reducing it on Defence. Any developing economy that hopes to be a part of the developed world someday has to allocate a significant amount of resources towards the education sector. Studies confirm that the productivity benefits of education are large- just one additional year of education can increase productivity of a worker by 10 percent (Russell), hence an educated workforce means a much higher output of a country. Research has shown that Pakistan has lost a considerable amount of earnings due to under investment in education, implying that had the government spent more on education problems like poverty and unemployment would not be as serious as they are today. “Pakistan’s 1985 income would have been 25 percent higher if Pakistan had had Indonesia’s 1960 primary enrolment rate and about 16 percent higher if female enrolment rates had been the same level as for boys and extending these projections to 2005 it would be safe to conclude that Pakistan’s per capita income today would have been almost double than what it actually is and the record on poverty much better” (Bridsall, Ross, Sabot). “Pakistan missed economic opportunities that have been exploited by many developing countries by increasing educational levels for the bulk of its labour force and, thus, enhancing their household incomes and reducing poverty”(Khan). To avoid losing more potential output in the future the government needs to divert resources from defence towards education.